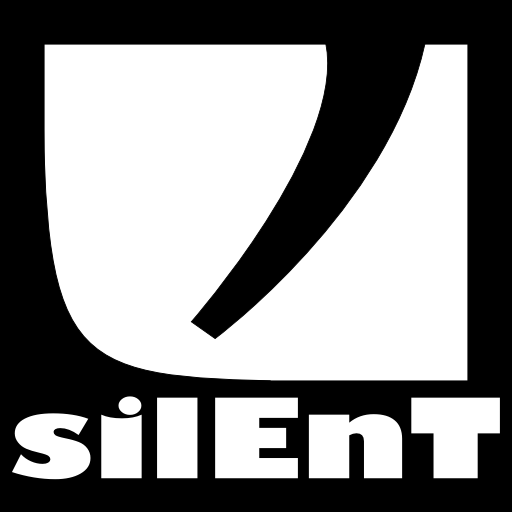 silEnT mod version 0.9.0 is out! We have found recently that there is a bug in the censoring which disables the functionality completely. We have fixed it and updated the package. Everyone who downloaded the 0.9.0 package before 22.11.2015 is advised to download the updated package and update his/her server binaries. Added: Server customizable menu that is opened in addition to the silEnT mod menu. Added: Possibility for admins to modify the loading screen of their server. As opposed to modifying the loading screen of every server. Added: New client command mem_report. This command prints diagnostics of the client memory pooling. Added: New client cvars: cg_numPopups, cg_popupStayTime and cg_popupFadeTime for controlling popup behaviour. Added: Server checks the setup and refuses to start if problems are found. This includes checks that official menus are not modified. Added: New option g_forceLimboHealth 2, which matches the ETPro gib damage (125).The option 1 remains as the original ETPub gib health (150). Added: Rate setting is incresed automatically step by step if fragmented snapshots are received from the server. This improves the playability and removes the need to force this setting to players. Added: Server extension modules. With this technology, server functionality can be expanded to various tasks without bloating the qagame library or forcing every admin to use same extension. Added: Statistics module. This module collects various game play data into a relational database. Current choices are SQLit3 and PostgreSQL. Added: Censor module. This module can be configured to censor names and chat with real regular expressions. Added: new fun wars: !knifewar, !stenwar, !riflenadewar, !rifleshootwar, !pistolwar (added g_headshot bitmask value 4 to control instagib of headshot for pistolwar). Added: New server cvar: g_incognitoCountryFlag to control the country flag displayed for the incognito admin. Added: If g_dmg is set server side, body hitsounds have different volumes depending of the damage. This can be disabled by the players. Added: Forcing some cvars is now restricted. These include the client side hitsound selection and theme. Added: Player screenshots. Now admins can take player screenshots which works same as PB screenshots. 2.6b clients supported. Screenshot will have Server name, IP, Player Name, silEnT GUID, PB GUID and Player IP in it. Fixed: G_QueryClientCvar/et_CvarValue can no longer be used to query rcon password. Fixed: In silEnT AC a part of the Anti-Cheat was not compiled into the mod in version 0.8.2. This resulted some previously known cheats to not getting detected. Fixed: The arm hit detection was not working correctly from the side shots. Fixed by adding additional temporary box for the torso. Fixed: !rename admin command doesn't allow adding backslashes to names anymore. Fixed: Objective carry icon counting spectators too. Fixed: Crashes related to UI_Alloc running out of memory. It does not run out of memory. Fixed: Ties on highest fragger are solved by comparing kill/death difference. I.e. less deaths will win. Fixed: When g_realbody was set to 1. With certain crouch animations the middle box was not high enough to cover shoulders. Fixed: Ties on the most headshots are solved by comparing the amount of shots fired to reach the amount. The player with less shots fired will win. Fixed: et_UpgradeSkill Lua hook was passing invalid client numbers to scripts. Fixed: Allied hand grenades erroneously recorded kills as axis hand grenades. This change should be noted by all log parsers that parse MOD_ values from kills. Fixed: g_headshot bitmask value 2. It used to apply the g_instagibDamage to every hit. Fixed to apply the damage to only headshots. Fixed: tripmine palcement bug leading to exploit (thanks to Beck for the report). Fixed: theme bug regarding small titled windows. Fixed: report bug official menu had bad background definition (with widescreen). Fixed: The g_weapons flag 32768 was treated as always enabled if any of the g_weapons flags was set. Fixed: Missing ETPro icon from the SD credits menu. Fixed: Non-literal characters not allowed in names anymore. Fixed: Omni-bot + tripmine crash when the map script is missing "script_multiplayer". 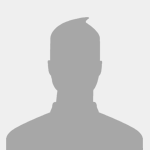 Removed: ui_autoredirect client cvar. This is used to hack player games. Redirecting still works, but players are presented a choice in a popup. Improved: rifle war nade shooting is not influenced by the charge bar anymore. Improved: Menus cleaned. All options can be found under the Options button. Changed: silEnT mod uses now LUA 5.3. Awesome release!! Thank you for the good job and offering this great mod for free. A donation will follow soon. When statistics mod will be will be attached to TB? I don't know. There is nothing going on at the moment for that. We have nothing against that either. Since the module can talk with any PostgreSQL database, even non local ones, it would be possible to talk directly to some external database server, possibly provided by TrackBase. We don't oppose adding specific functionality for the TrackBase/Splatterladder to the module either, as long as it doesn't create licensing issues. Great job guys As always but in my opinion the main problem with this update is "classic" menu in game and checking it. I know that I can create custom menu. But this is additional work now. Can someone explain to me why this feature was included to new version? ""The mod on this server is not ranked.Session not ranked"
Because server admins have no business modifying the client menus. There is obviously good use for menus while players are on the servers, which is what the addtional menus provide. Also, in some cases admins have modified the silent menus and because of that, some new client features for players have not been available from the menus. This matter has been discussed to the death now. This is a TrackBase issue. They have tracking enabled case by case to every mod and mod version, so they just havent enabled it for the 0.9.0 yet. There is wiki information http://mygamingtalk....ing_Custom_Menu and the logs have exact error reports as well. ok thanks, I will try with this, if there will be some problems can I write to you a message for help? We are happy to help with all questions regarding how to setup the server. Admins that participated in the testing have experience with that as they have had to go through this already so I suppose there will be someone to help you if you have problems. I have to say as well i don't understand because since the start i feel your 'menus' with none originality and finally i feel them ugly (i mean all that only about disposition)...all that goes to be imposed it is that ? Really ? Again thanks for your hard work , since i run 'silent' u have really changed my life of admin !! The point is in short "you" being the server manager are forcing what you think is "ugly" on other people that may think your menus are ugly. It should be up to the player what he thinks. Can client's make a client pk3 for themselves now then? I think the direction you are heading is a good one(despite unfortunate backwards compatibility glitches) giving more control to the client. 0 would load default silent mod ui. Sorry if it kind of already works like this, just kind of thinking of ideas. I can make a proper feature request if needed. Why is there no information that Lua API has been updated to 5.3? It's critical information for admins that use custom stuff as a lot of current scripts won't work out of the box. We have forgotten to put it into the change log, sorry for that. We noticed the censor not working. I downloaded 0.9.0 again, but the pk3 is exactly the same size as my current one, and is dated Sept 18. Is that the right one??? Censoring is done server side. You need to update the server binary from the download, not the client binary.